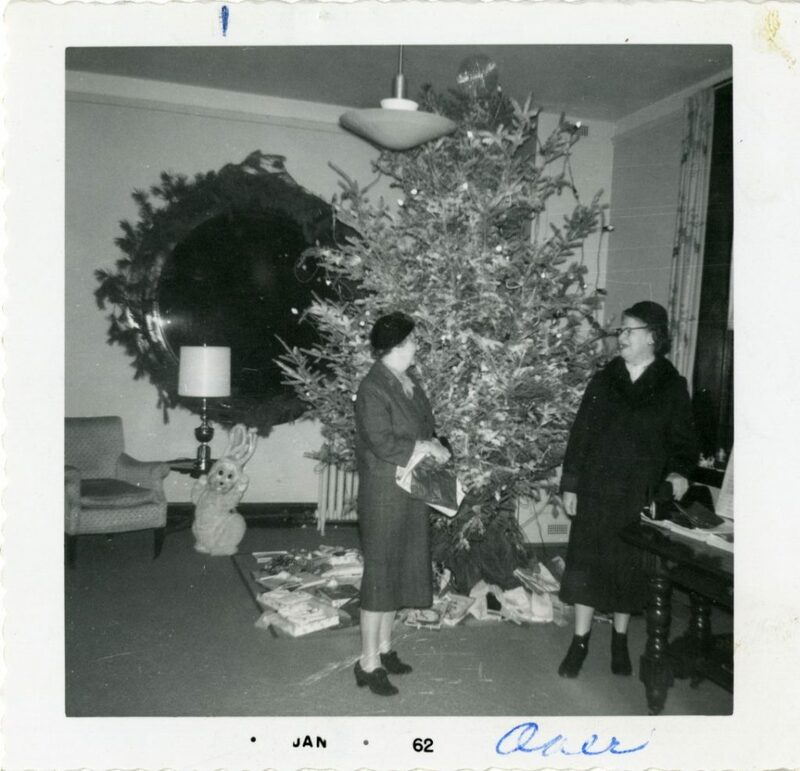 With Christmas Day fast approaching, it seems an appropriate time to roll out the WLA’s collections featuring images of the season. Here are some of our favorites! Christmas Card, undated. Virginia Gaertner Broderick Papers, Women and Leadership Archives. Group photo, ca. 1918. Eleanor Foundation Collection, Women and Leadership Archives. 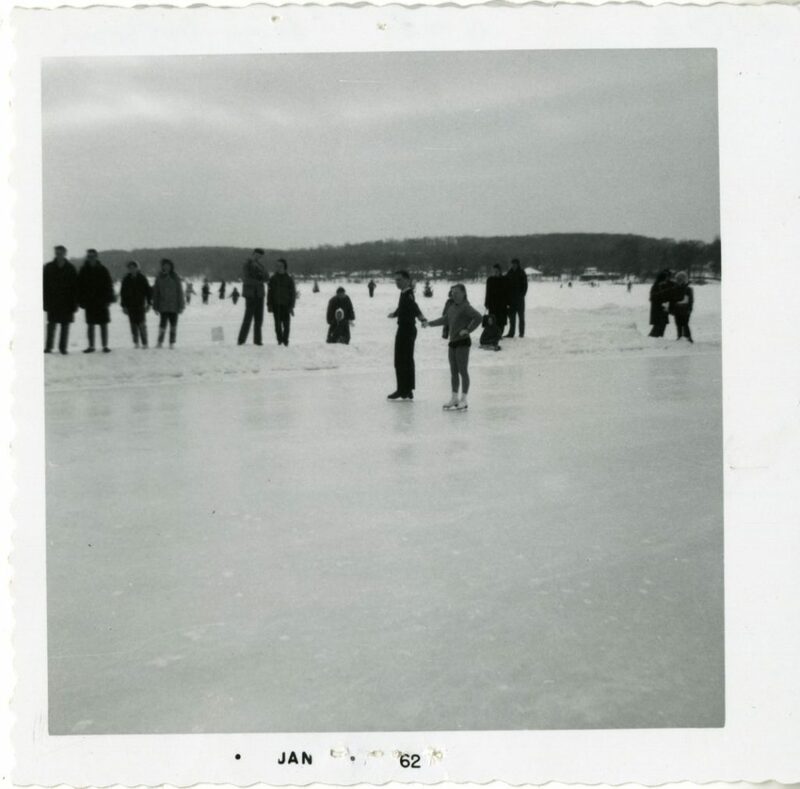 Holiday on Ice Celebration, 1962. Eleanor Foundation Collection. Women and Leadership Archives. 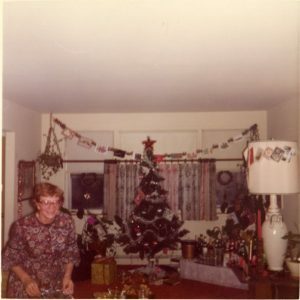 Christmas celebration, 1962. Eleanor Foundation Collection. Women and Leadership Archives. I don’t know about you, but the bunny in that picture will haunt my dreams. This Chicago-based ethnic non-profit works to promote the heritage and traditions of Poland while organizing charitable efforts for the sciences, education, and literature. Founded in 1939, the Legion is still an institution for the Polish community in Chicago to this day. 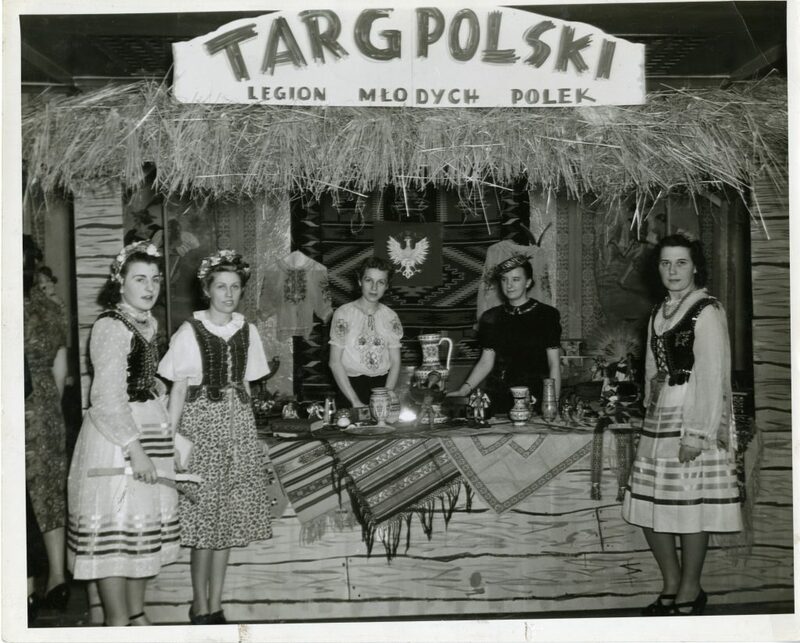 For more about the Legion of Young Polish women, check out their digital exhibit. Legion representatives at a Christmas market, ca. 1940. Legion of Young Polish Women Collection, Women and Leadership Archives. Christmas celebration, ca. 1980. Legion of Young Polish Women Collection, Women and Leadership Archives. Fun fact: In Poland, December 6th is known as Mikołajki (or St. Nicolaus Day). 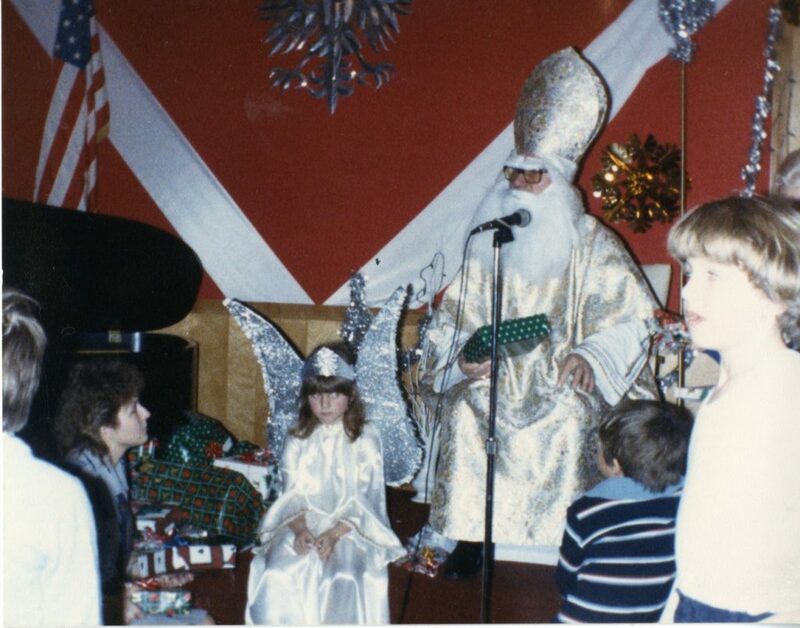 On this day Mikołaj, or Santa Claus to Americans, visits good little boys and girls and doles out gifts dressed in either bishop’s robes (as seen above) or in the red suit so many associate with the Santa image. Labor reformer Mollie West wasn’t all work and no play! 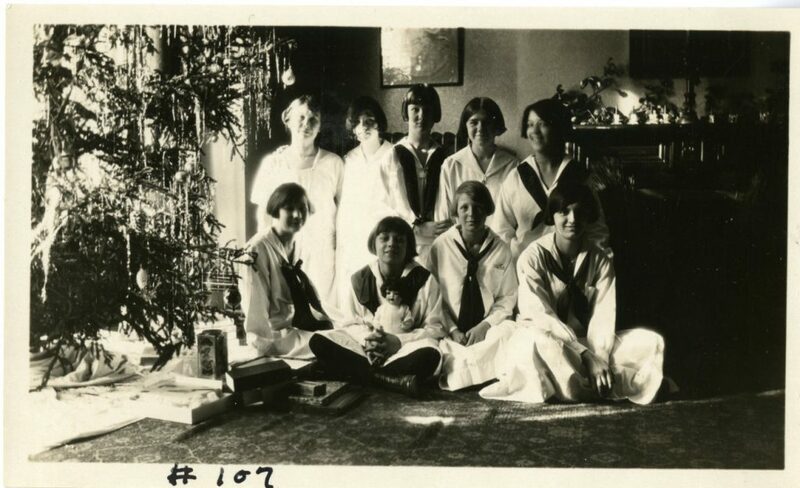 Although she came from a Jewish family, Mollie enjoyed the Christmas holiday with her many friends. Here’s a great photo of Mollie at a Christmas shindig. To find out more about Mollie West and her remarkable life, check out the WLA’s newest digital exhibit here. 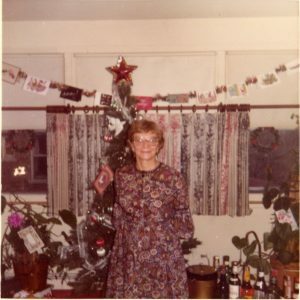 Mollie at a Christmas party, undated. Mollie Leiber West Papers, Women and Leadership Archives. Ellen is a Graduate Assistant at the WLA and is in the second year of her M.A in Public History at Loyola University Chicago. Before moving to Chicago, Ellen was a Kindergarten teacher in Louisiana. She enjoys brunch, procedural dramas, and pugs. For those who do not know, April is National Poetry Month. In celebration of the occasion, I delved into the Women & Leadership Archives’ collections to find records and personal papers concerning women’s contributions to the arts, particularly the written word. As close followers of the Women and Leadership Archives know, our collections feature the creative pursuits of remarkable female performers, artists, sculptors, and patrons, both past and present. In fact, check out the WLA’s digital collection Visions: A Highlight of Chicago Women Artists for a more detailed sampling of the materials we hold regarding these talented female artists. Along with preserving the records and papers of women in performance and the fine arts, the Women & Leadership Archives also holds the records of famous poetesses as well as numerous poems featured in feminist newspapers. The first, Ruth Lisa Schecter, published several books of poetry including Near The Wall of Lion Shadows, Moveable Parts, Suddenly Thunder, and eight others. Her writings were also published in more than one hundred and fifty journals. In addition to actively writing throughout her adult life, Schecter was also passionately involved in spreading the influence of poetry through Arts Councils and colleges. Schecter served as the poet-in-residence at Mundelein College* beginning in 1969. The second poet, Renny Golden, combined her love for writing with a passion for social activism. Her best known book of poetry The Hour of the Furnaces articulates the suffering of many citizens of Central American countries in the tumultuous years of the 1980s, when several countries fought civil wars against militaristic regimes. This work earned a nomination for the National Book Award in 2000. Additionally, the WLA preserves numerous anonymous submissions of poetry from The Feminist Voice, one of Chicago’s first feminist newspapers that began during the 1970s. See below for some examples of these anonymous pieces as well as a sampling of some of the amazing offerings created by our other profound poetesses. Drawing from the Connie Kiosse Papers, artist unknown. Undated. 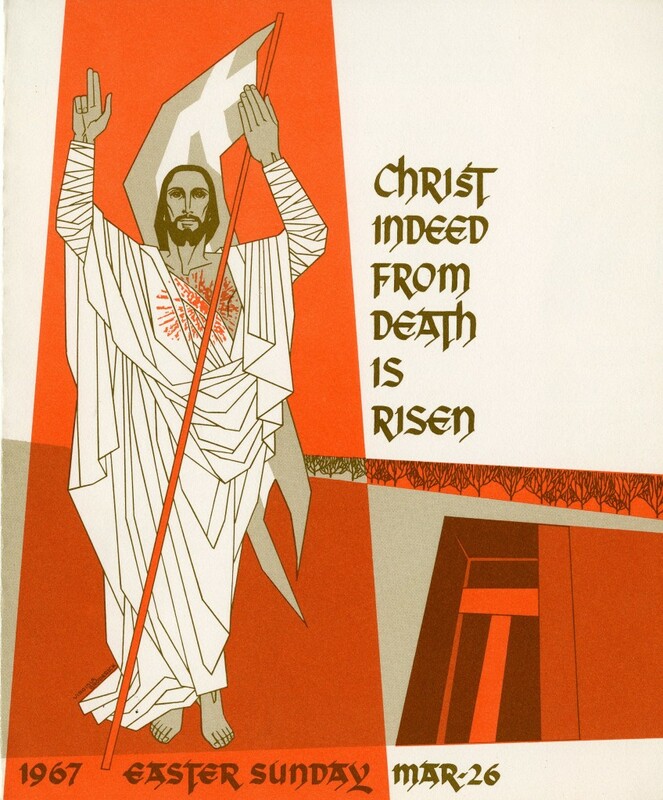 This image from the Connie Kiosse Papers was submitted by an anonymous artist and poet. The marriage of words and illustration provide a provocative image of the contributor’s views on romantic love. Drawing and poem from the Connie Kiosse Papers, artist unknown. Undated. Another anonymous submission from the Connie Kiosse papers, this poem with accompanying illustration depicts the author’s personal struggle with a failing relationship and her tumultuous emotions associated with it. 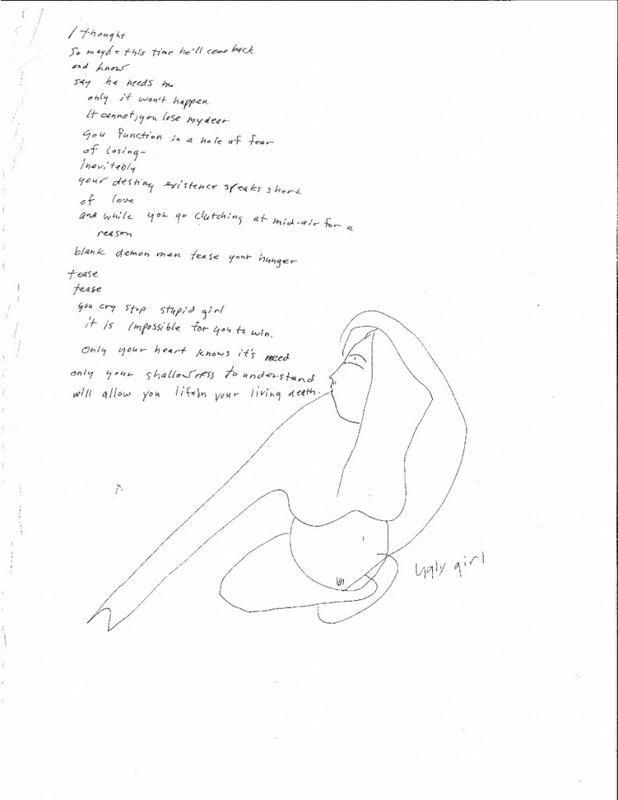 The poem makes powerful reference to the role of self-esteem as it intersects with modern womanhood. 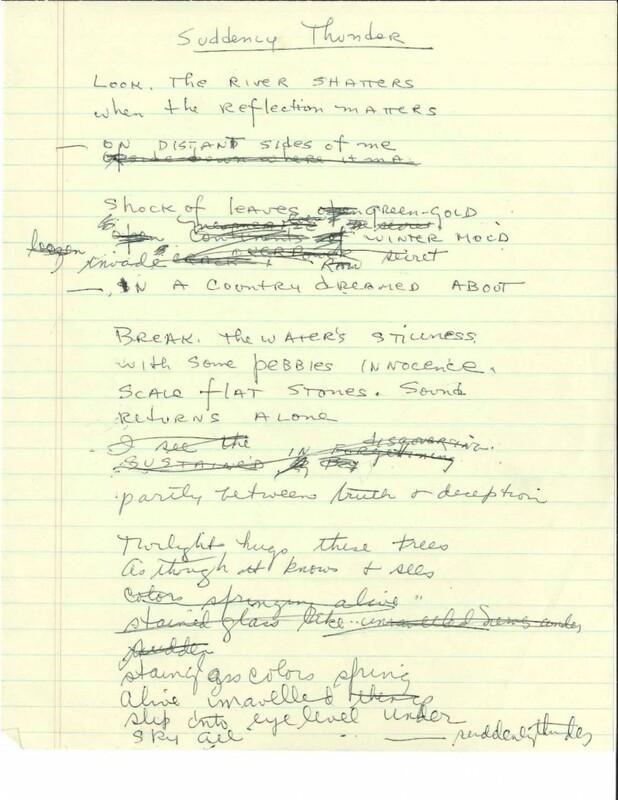 Early draft of Schecter’s poem “Suddenly Thunder,” 1972. Ruth Lisa Schecter Papers. These two images depict an early draft of Ruth Lisa Schecter’s titular poem for her book, Suddenly Thunder and another one of her poems “Many Rooms in a Winter Night.” Examining drafts of Schecter’s work allows researchers to view the artist’s creative process as she composes a work from beginning to end. 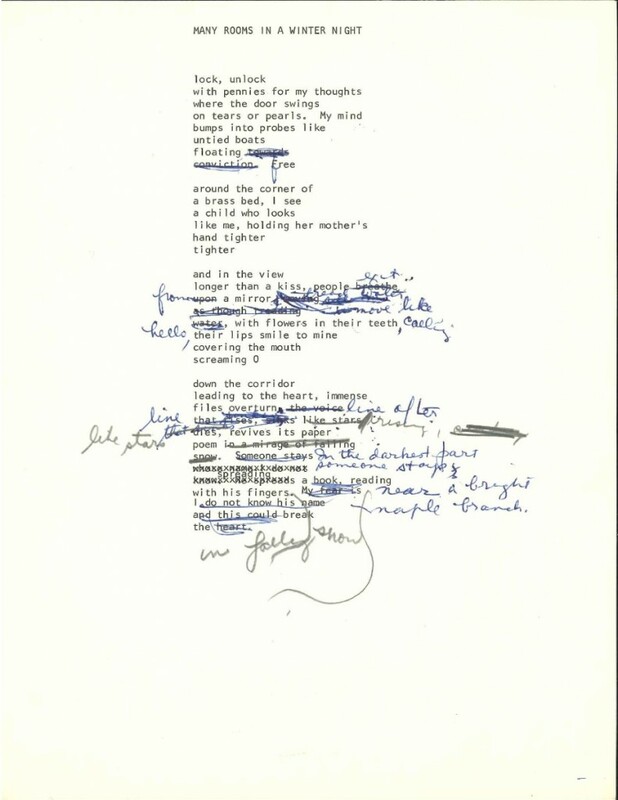 Revision of one of Schecter’s later poems “Many Rooms in a Winter Night,” 1989. Ruth Lisa Schecter Papers. *Mundelein College, founded and operated by the Sisters of Charity of the Blessed Virgin Mary (BVM), provided education to women from 1930 until 1991, when it affiliated with Loyola University Chicago. The Women and Leadership Archives (WLA) at Loyola holds the records of Mundelein College. Ellen is a Graduate Assistant at the WLA and is in the first year of her M.A in Public History at Loyola University Chicago. Before moving to Chicago, Ellen was a Kindergarten teacher in Louisiana. She enjoys brunch, procedural dramas, and pugs. We are FINALLY beginning to see some sunny skies and warmer temperatures in Chicago and I’m sure everyone is ready to see green grass and blooming flowers again soon. 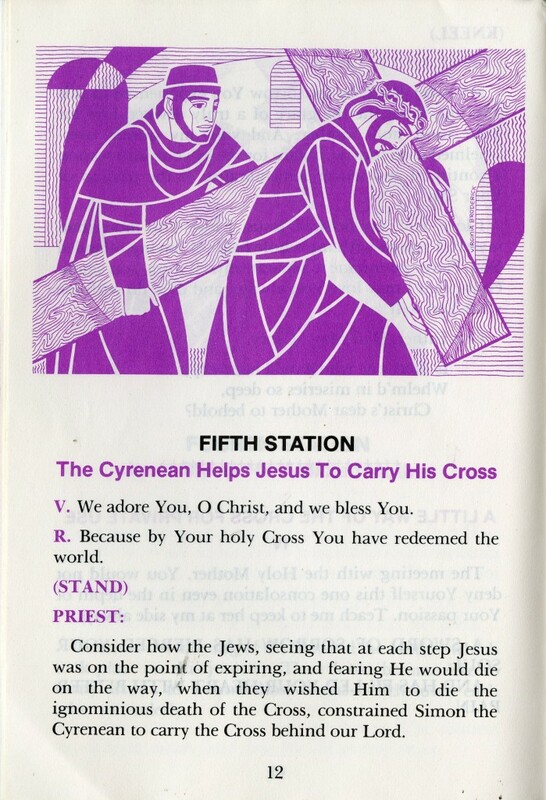 Along with the spring also comes the season of Lent. Lent is a forty day period of time during which Christians devote themselves to prayer, fasting, and works of compassion as a way of preparing themselves to celebrate Christ’s death and resurrection at Easter. This year, Lent began February 10 and ends with Easter Sunday on March 27. What better way is there to celebrate the coming of beautiful spring and Easter than with the artwork of Virginia Gaertner Broderick? 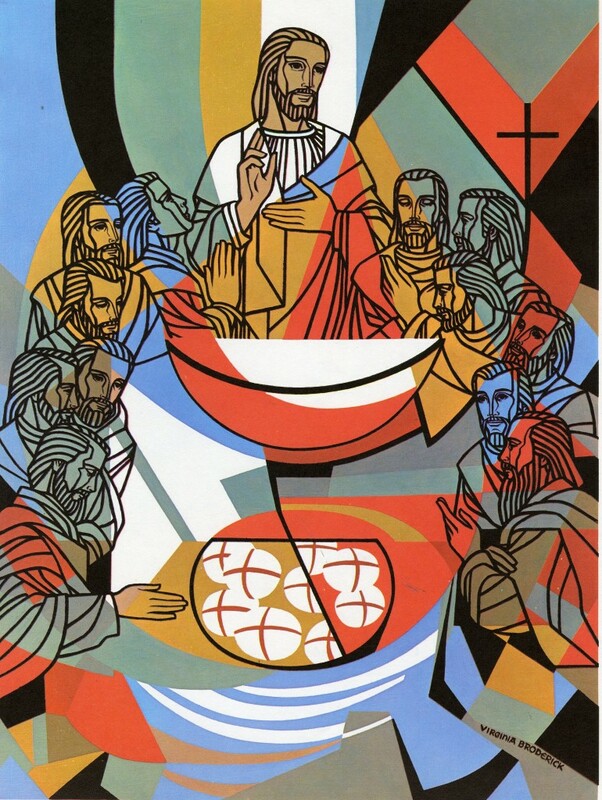 A Catholic convert, Virginia developed her own artistic style she called “cloisonism” and used traditional Christian symbolism to create vibrant and unique art. 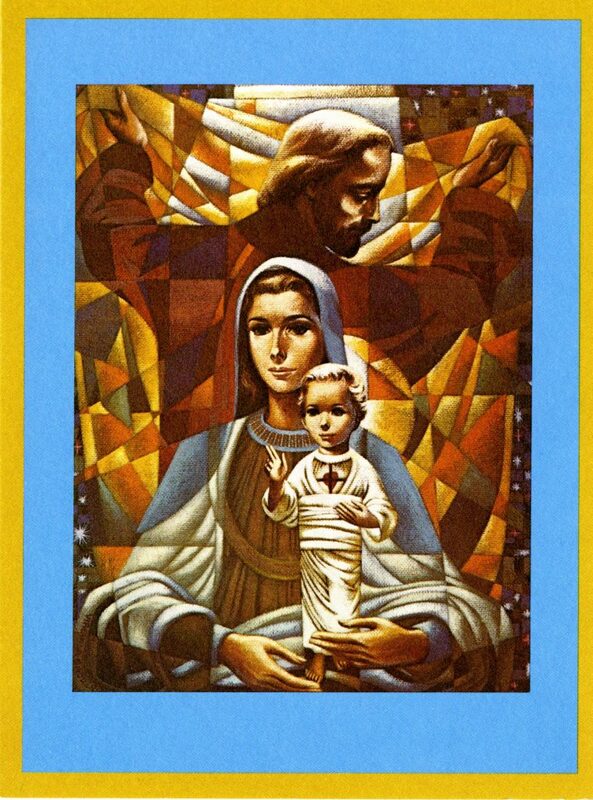 Her pieces were published in many forms of church publications and even converted into stained glass, mosaics, and other forms that can be found all over the world. Read more about her fascinating life and career in the finding aid for her collection. 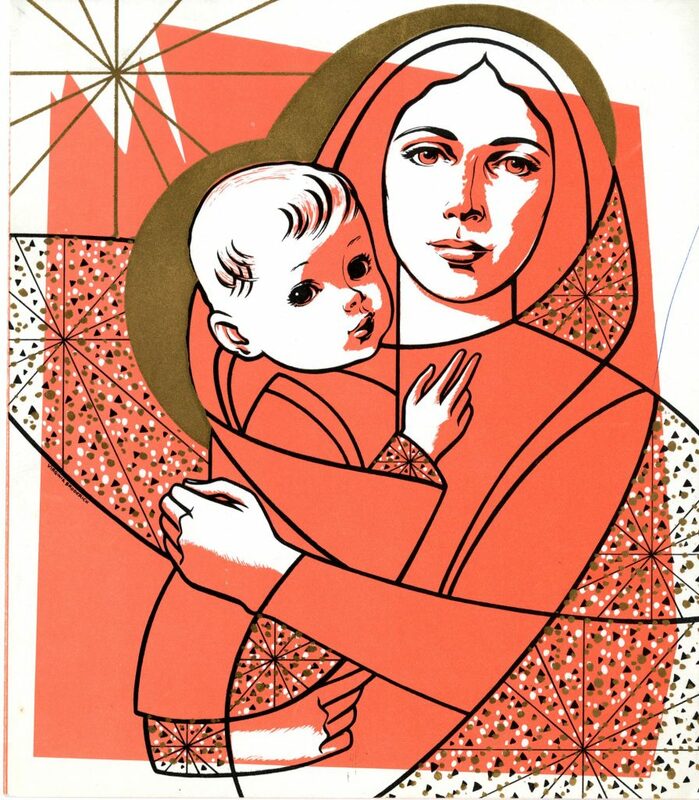 This image is from the cover of a missalette, a booklet holding the prayers and songs used in that week’s mass. 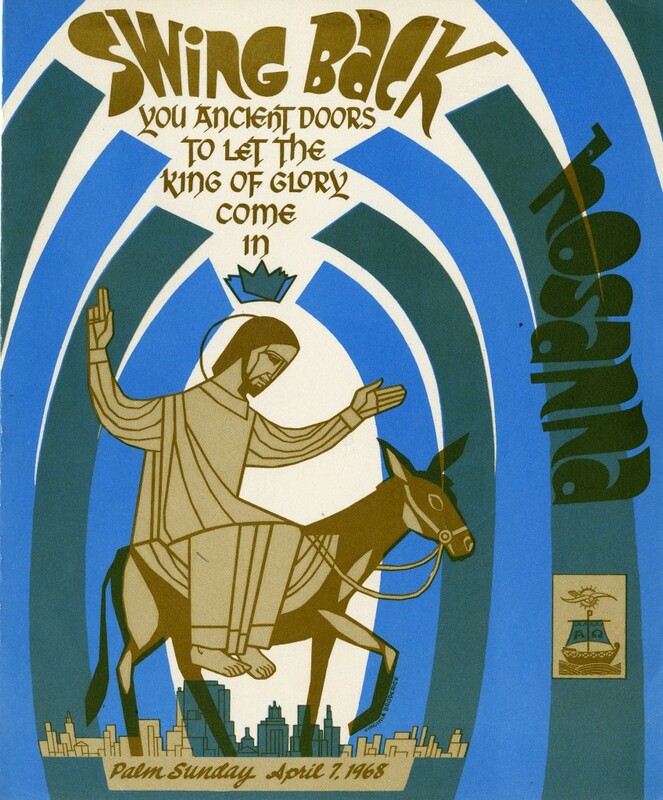 Although Virginia used traditional Christian imagery, we can definitely see the influence of the 1960s in this design. This depiction of the last supper is very different than the classic works we are familiar with! This work was featured in a 1971 calendar and shows Virginia’s signature style of using both lined and unlined forms. In Virginia’s collection, I also found this booklet featuring many of her illustrations. 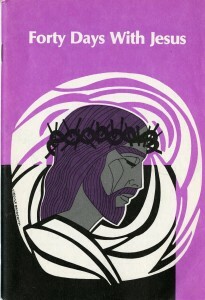 The booklet was used during Lenten services and for personal devotions. Look at those colors! 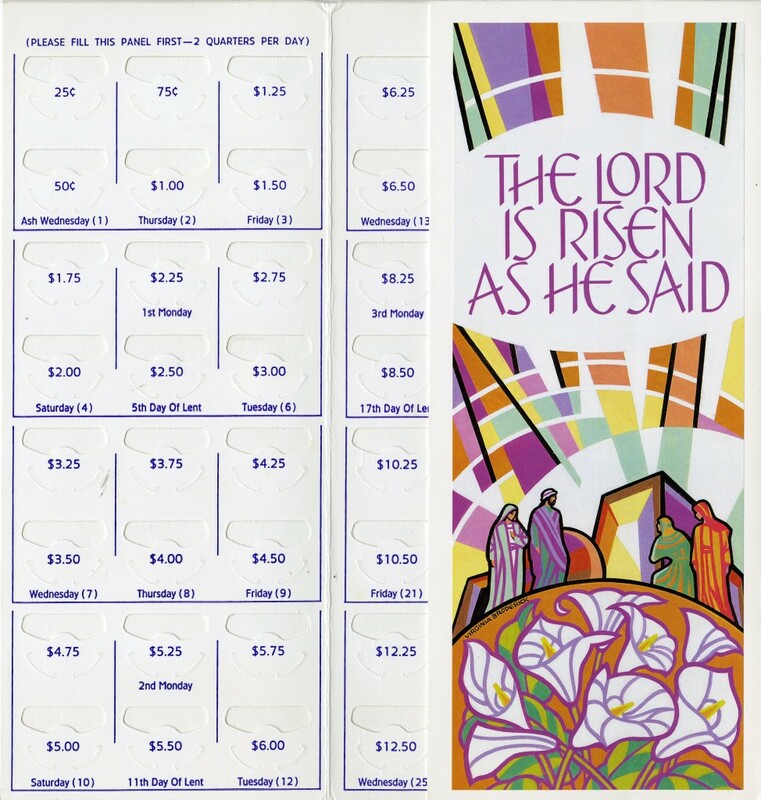 Many Christians use offering folders like this one during Lent to make a small daily offering as a reminder of Christ’s sacrifice and their faith. Here is another bright missalette cover for Easter Sunday. Caroline Lynd Giannakopoulos is a Graduate Assistant at the WLA and is working on her Master’s in Public History at Loyola University Chicago. She spends her spare time exploring Chicago, interpreting dreams, and watching cheesy movies with her husband. 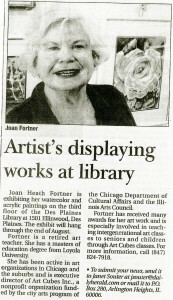 Born in 1932 to Mr. and Mrs. Norbert A Heath, Joan Heath Fortner was active for years in Chicagoland art organizations. 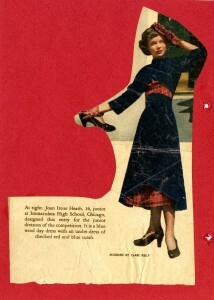 An alumna of The Immaculata High School (1950), Mundelein College (1954, BFA), the New York Fashion Academy (1955), and Loyola University (1979, M.A. in Education) Fortner always enjoyed art and sought to pursue it as a career. From a young age, Fortner was extremely passionate about art and fashion. 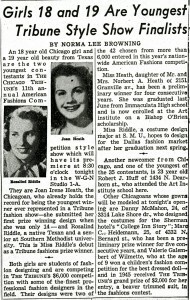 She became the youngest person to win the Chicago Tribune American Fashions Competition and would go on to win the competition for five consecutive years. 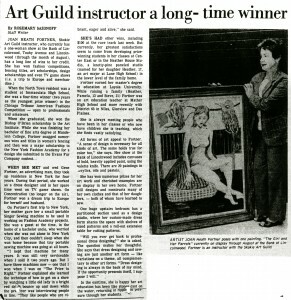 In addition to this award, she was the 1950 recipient of the Bishop O’Brien scholarship to the Art Institute in Chicago. In 1953 she won a second scholarship to the New York Fashion Academy for a design she submitted to a contest by the Evans Fur Company. Design sketch by Joan Heath Fortner showing fine attention to detail. 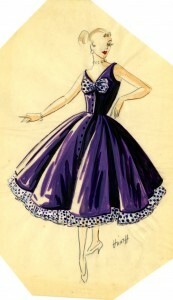 Design sketch by Joan Heath Fortner. The contrasting use of light and dark colors displays the distinct characteristics of her work. 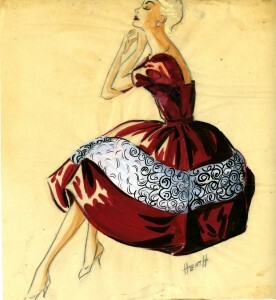 Design sketch by Joan Heath Fortner. While living in New York, Joan Heath met her husband, Gene Fortner. Following their marriage, the couple lived in New York for four years where she worked as a dress designer before returning to Chicago. While raising three kids, Fortner obtained a Masters in Education from Loyola University Chicago in 1979. Upon receiving her M.A., Fortner became an Art Education Teacher at Mather High School and also worked with District 63 in Niles, Glenview, and Des Plaines. Article highlighting Fortner’s achievements, 1981. During her lifetime, Fortner has been involved in many art organizations in Chicago and the surrounding suburbs. Most recently, she served as the Vice President of the Des Plaines Art Guild and the executive director of Art Cubes, a nonprofit art service organization funded by the Chicago Department of Cultural Affairs and the Illinois Arts Council that brings the arts to older adults. Due to her dedication to her work, Fortner has won many awards and today she is still extremely active in her community. 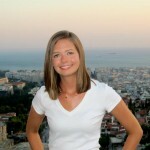 Along with teaching art classes, she is currently working on watercolor and acrylic paintings. An article highlighting an exhibit of Fortner’s work, n.d. The Joan Heath Fortner Papers at the Women and Leadership Archives consist of 1.5 linear feet of material spanning the years 1948-1981. The Women and Leadership Archives has a substantial number of other collections that focus on women artists, for a complete list see our website. Original research for this post was done by WLA intern Sebastian Villa during the Fall of 2012.